Facilitated by The Possibility Coaches, Chris Pattay & Jon Satin, and hosted by The Doylestown Bookshop. This book club meets the 2nd Thursday of each month from 6:30-8:00pm. This is a great opportunity to meet like-minded people and enjoy lively discussion. The books selected each month will be specifically related to the personal growth and development genres. Come and share your wisdom as well as receive new insights. Already have the book? Please join us. Don't have the book? That's okay. Pre-purchase it by contacting the Doylestown Bookshop at 215-230-7610. Join anytime. Open to everyone. 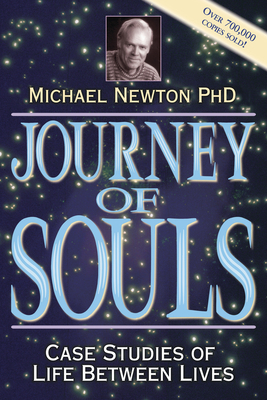 Learn the latest details and most recent groundbreaking discoveries that reveal, for the first time, the mystery of life in the spirit world after death on Earth--proof that our consciousness survives--in Journey of Souls by Michael Newton, PhD. The truth about "spiritual guides"
Journey of Souls is a graphic record or "travel log" by these people of what happens between lives on Earth. They give specific details as they movingly describe their astounding experiences. After reading Journey of Souls, you will gain a better understanding of the immortality of the human soul. You will meet day-to-day challenges with a greater sense of purpose. You will begin to understand the reasons behind events in your own life. Journey of Souls is a life-changing book. Already, over 600,000 people have taken Journey of Souls to heart, giving them hope in trying times. The Possibility Coaches Jon Satin and Chris Pattay are known as “The Positive Change Experts.” They are Life, Relationship and Business Coaches. Chris and Jon assist people to live their lives authentically to the core of their being. Their focus iscreating positive results for individuals over 40 with life’s challenges and transitions. Since founding Possibility Coaches in 2002, they have been actively exploring the human experience and condition, and empowering individuals and business owners worldwide to live a life of meaning, passion and purpose. Jon and Chris are the authors of "Living an Inspired, Empowered and Joy-filled Life: 365 Daily Tips to Get You There!" To learn more about them, visit: www.PossibilityCoaches.com or call 215-794-0135. Learn more about our book clubs here.